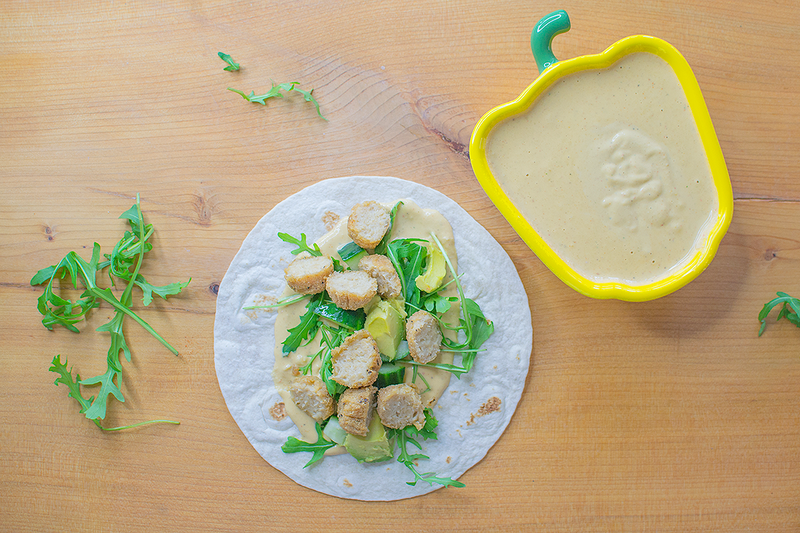 We had these vegan chick’n wraps for lunch the other day and they were so good! The Cajun sauce adds a great flavour and even Cherry added some on to hers, despite her being a tiny bit unsure about it after her first taste! I used the Asda vegan popcorn chicken balls which are great, if you aren’t able to find them then you could use any vegan chicken nuggets, or even tofu. Or you could even make your own seitan with a southern fried coating, I will definitely try that one day when I have more time. This is so great for a quick vegan lunch though, you could also let the popcorn chick’n cool down and make a wrap to take into work, or for a day out. They would taste just as good cold. The Cajun sauce is made with a cashew nut base and lots of nutritional yeast plus some Cajun spice making it super tasty. 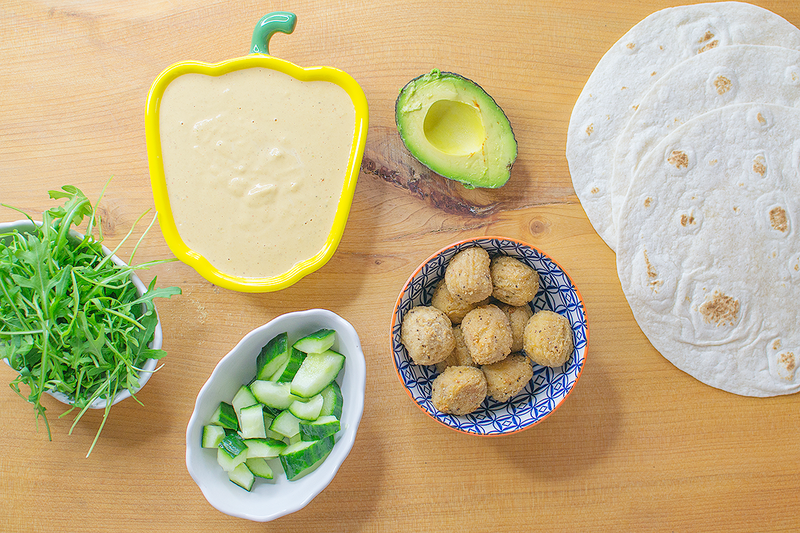 You can make a batch up and keep it in the fridge for a few days too for either more wraps or anything you like! All you do is put it all in a blender and then blend until there are no more lumps, if it’s a bit runny then you can add a few more cashew nuts and if it’s a bit thick then you can just add a bit more water. You can just play around until you get it to the consistency you desire. After cooking the popcorn chick’n balls in the oven you can just assemble the wraps with some salad, the sauce and the balls. Then enjoy! You could also drizzle with chilli oil, or top with seeds or add some other sauces.. anything you like!